Model CJ19, CJ19B and CJ19C switching capacitor contactors (hereafter called " the contactor" for short) are the contactors specially used for make and break of low voltage shunt capacitors and widely used in reactive power used for make and break of capacitor up to 60kvar in electric power system of AC50Hz and rated working voltage 380V for the purpose of improvement of power factor. 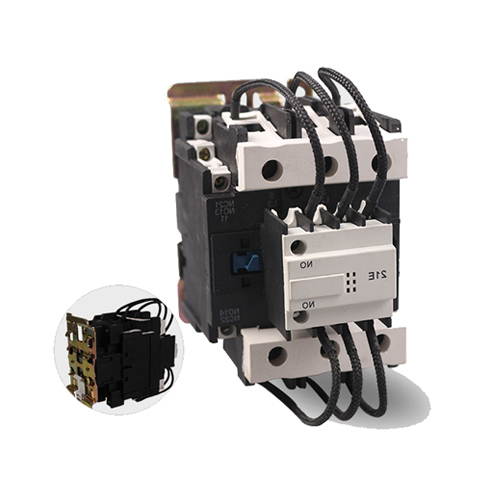 We have 25A, 32A, 43A, 63A, 80A, 95A contactors. Note：①model CJ19 can substitute for Model CJ16. ②The basic technical function of model CJ19C is the same as model CJ19B.but the difference is that the former will switch off the circuit after its resistor circuit finishes controlling surge current.